Flat Stanley came from Chicago to visit our family. We took him on a tour of Salt Lake City and on vacation with us to New York City over the past few weeks. See the video below to view some of our adventures. 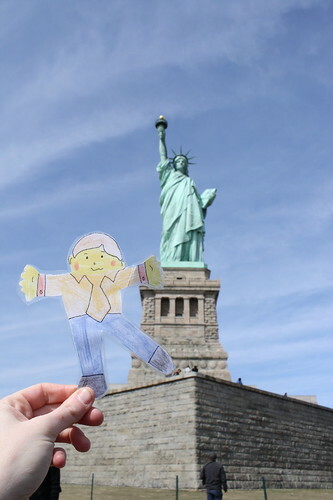 Flat Stanley visits the Statue of Liberty with ObSEUSSed. 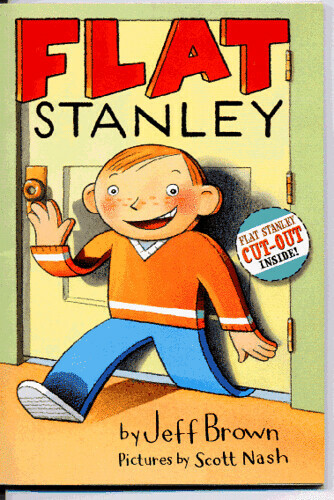 Flat Stanley is a character from a series of children's books, created by Jeff Brown. In the easy reader books, Stanley is flatened by a bulletin board and goes on a variety of adventures. 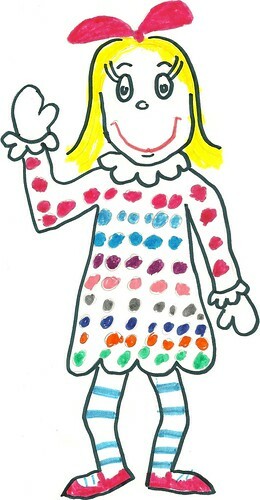 Many teachers do Flat Stanley units where their students create a physical picture of a Flat Stanley. Then they send Stanley to friends or family in other areas of the world to take pictures of him on his adventures. They send Stanley back to the child with the photos and a small journal of where he visited. She has not had the opportunity to do this project at school so when I saw that the blog, Book Loving Boys , was doing a Flat Stanley Adventure Exchange I signed up. We read the book "Flat Stanley and the Magic Lamp" outloud together during our adventure. We read a chapter each night of our trip in New York City. In this book, Stanley wasn't flat and didn't really travel anywhere special, but a genie traveled to him and granted wishes. It had some tricky words but my daughter enjoyed the story and silly things that happened because of Stanley's wishes. 'Sally' made her own Flat Stanley and we scanned it and emailed it to our exchange partner. Our partner was a third grade student from Hanover Park, a suburb of Chicago, Illinois. 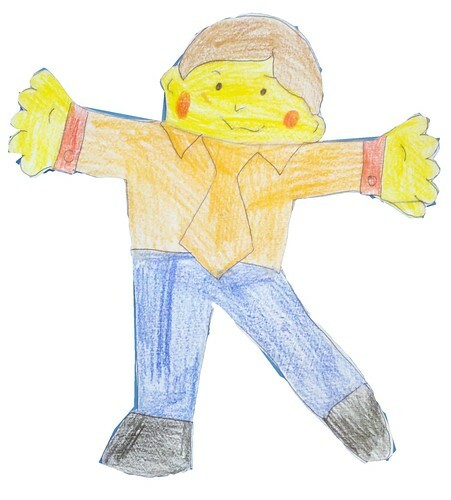 The student made this cute Flat Stanley from the template found on the Flat Stanley Project website. Or you can try the official Flat Stanley website. I printed Stanley on card stock then laminated him so he would not get destroyed on our trip. During our exchange we had a great time visiting our favorite spots in Salt Lake City. Then, my husband graduated from Seton Hall University in New Jersey so our family visited New York City for a few days and took Stanley along. My daughter loved taking Stanley to all these fun places. This video shows a few of our stops during our Flat Stanley Adventure. Stop by your library to grab a Flat Stanley book and make your own character to send off on adventures. If you blog about your adventures, leave a link in the comments below. We'd love to see other places Flat Stanley has visited. We had so much fun too. Thanks for participating! I'll be linking back to your post about the exchange on Monday!